Full automatic Spring roll making machine. Spring roll wrapper making machine. Spring roll pastry sheet making machine. 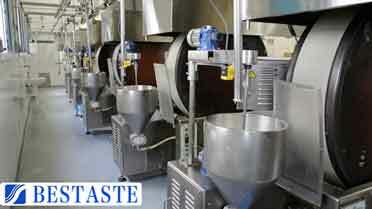 Samosa pastry sheets making machine. 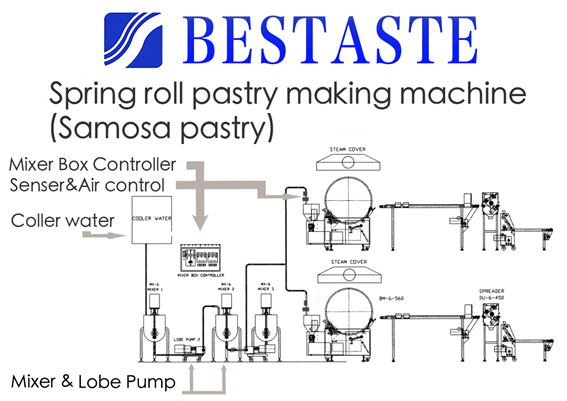 BESTASTE produced its first spring roll pastry making machine in 1982. It is currently operating working of Oregon, USA. 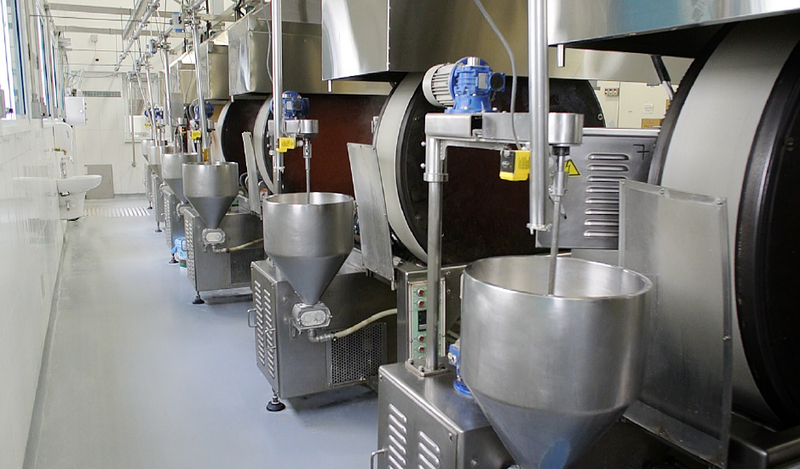 It is the first company in Taiwan that produced this type of machinery. Since 1983, we have made and sold spring roll pastries using our own spring roll pastry making machines. We have actual selling experience, we understand what consumers care about. From then until now, we have continuously improved the effectiveness, durability and stability of our spring roll machines. After one- year frozen storage, the pastry is still bouncy without any cracks and you can easily separate pastry sheet from the stack. The thickness of one spring roll pastry sheet is 0.45 mm. The accumulated thickness of all pastry sheets we have made so far is higher than that of eleven Mount Everest's (Mount Everest: 8848 m). These years of experience have given us the knowledge regarding the method of making spring roll wrappers with different properties of batter from different flour across the world. 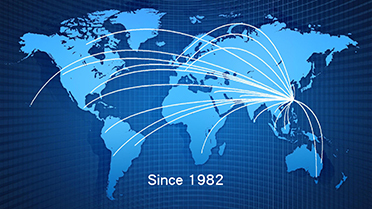 Since 1983, we have sold spring roll pastries using our own spring roll pastry making machines. We understand and improve the problem of using the machine for a long time. Never use cheap and low quality parts to reduce costs. Use world-renowned brands to Insist on quality. 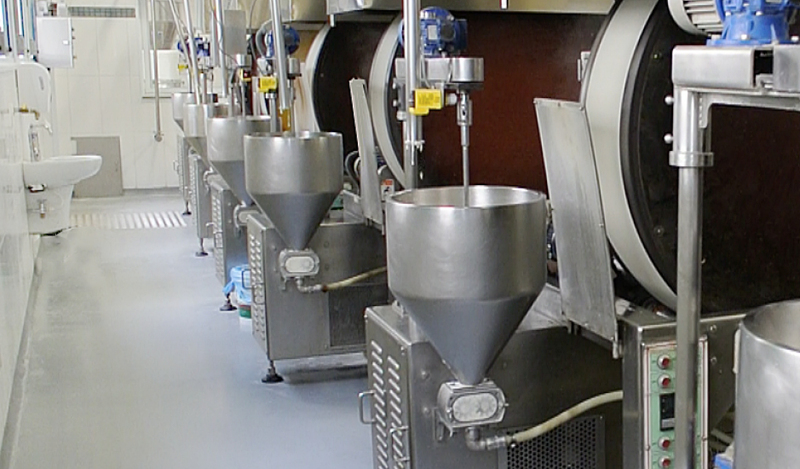 Quality is top priority when we select parts used to manufacture these machines. Many improvements come from we use our own machines to produce spring roll pastry actually and sold our machine many place. 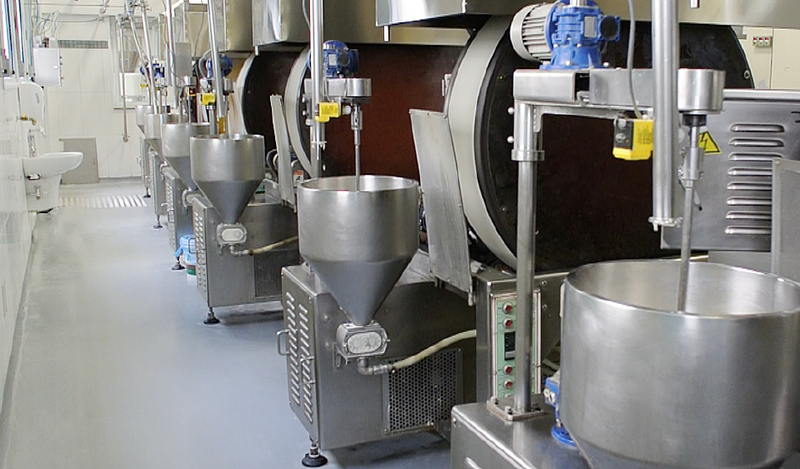 We have complete spring roll pastry production line to offer our customers to learn and operate machine. You also can carry your local flour, we can use your recipe to produce the pastry and operate on-site. 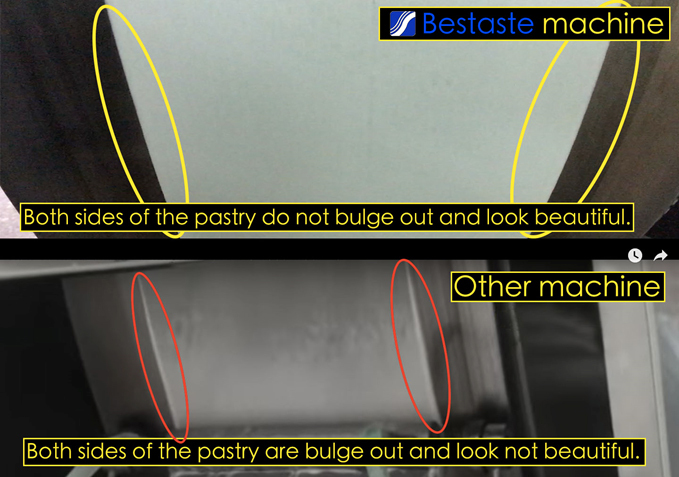 You can see our machine actually how to produce high-quality pastry any time. Not all spring roll pastry sheet making machine can produce quality wrappers. You need the best spring roll making machines, experienced operation and right process. Other food machine manufacturers does not have these. The spring roll pastry made by baking roller with a rough surface has uniform pores and can be deep fried more easily for better taste. The moisture of the spring roll pastry sheets will be uniform. And no cracks after a long-time frozen. a.Your working efficiency will be improved. b.The machine speed is controlled by numerical control. It is easier and more convenient to operate. Guarantee the sturdiness of the machine. BESTASTE’s frame is made of 5mm - 10mm thick stainless steel plate (sus304) which is cut and welded. We promise it will not deform after 20 years. Customization spring roll pastry making machine. Has 33 years of experience in providing tailored services. BESTASTE is fully aware of customer needs through in-depth discussions.